Straight from the front lines of the colossal blizzard assaulting Western New York Dan sends us a shot a Kenworth C-500 working for the town Lewiston. 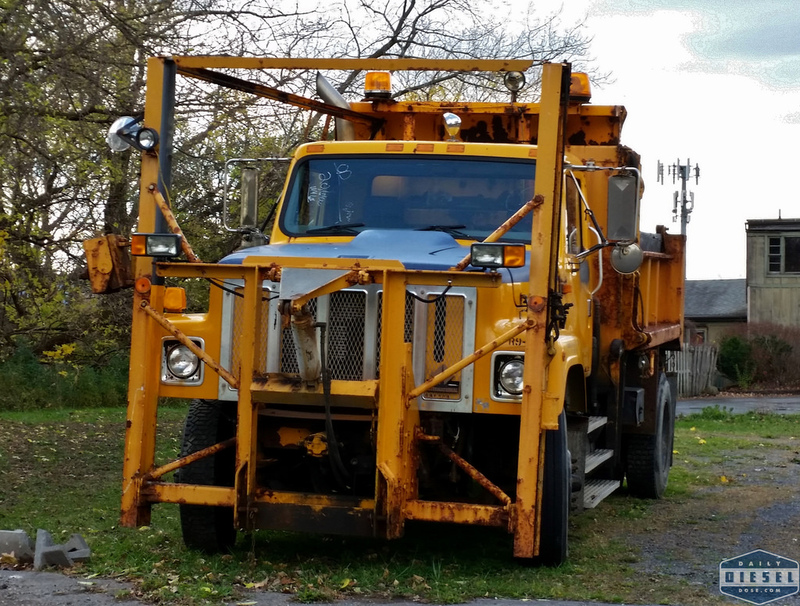 Trucking terminals have the coolest repurposed plow trucks. 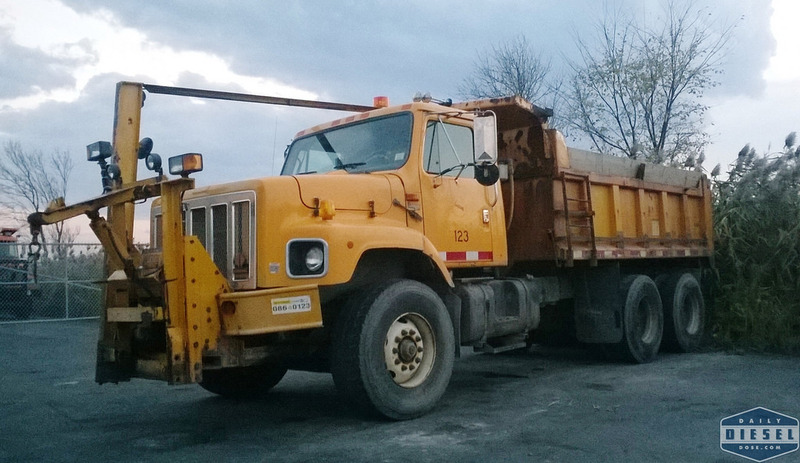 Usually they are retired OTR trucks like this old S-Series or this International 8200. I’m not sure if this old Mack follows the same mold. For starters the headlights appear to be factory deleted and the overall condition of the truck is near perfect. It’s also possible this rig was purchased by NEMF as a dedicated plower. Whatever the history this truck is a real eye catcher. 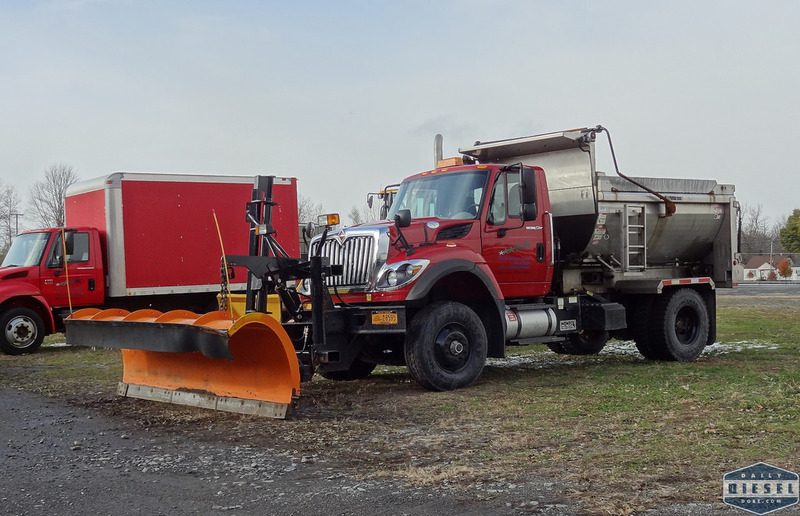 I’ve been tracking the deployment of the new Western Snow 4700 plows for the NYSTA for over a year now. It’s been a long process for these trucks to hit their respective bases but here is one in its finished form complete with lettering and painted hood. 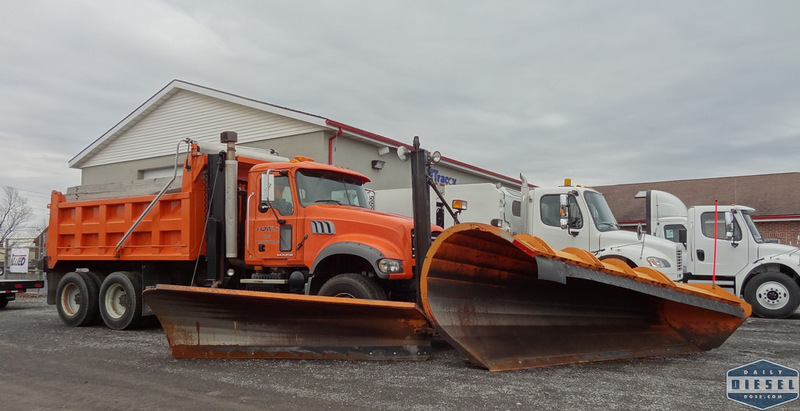 Who doesn’t love the classic, S-Series derived, 2574 snow plow? Heading by the NYSDOT Region 3 HQ I spied more than a few still lingering around the back lots. This one appeared to be in good shape. Nearby was a large Oshkosh blower many decades old. I wasn’t able to grab a photo of it so I turned to the original plow chaser, Ryan. Of course he had the exact one in his collection. Click here for the photo. In her travels my wife stumbled across a retired 2574 and took some photos. I am truly blessed. These things are starting to show up all over the place. 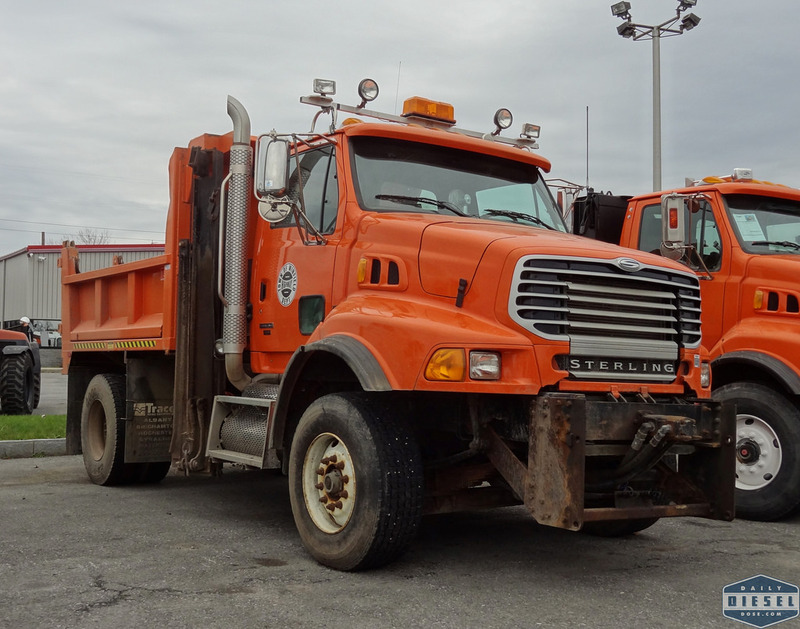 I guess it will only be a few more years until the first generation of NYSDOT Macks start leaving the fleet for fates similar to the Internationals. On the topic of 2574 let’s talk about 2674, the set back axle option. They are just as cool and just as plentiful around the roads of NYS. 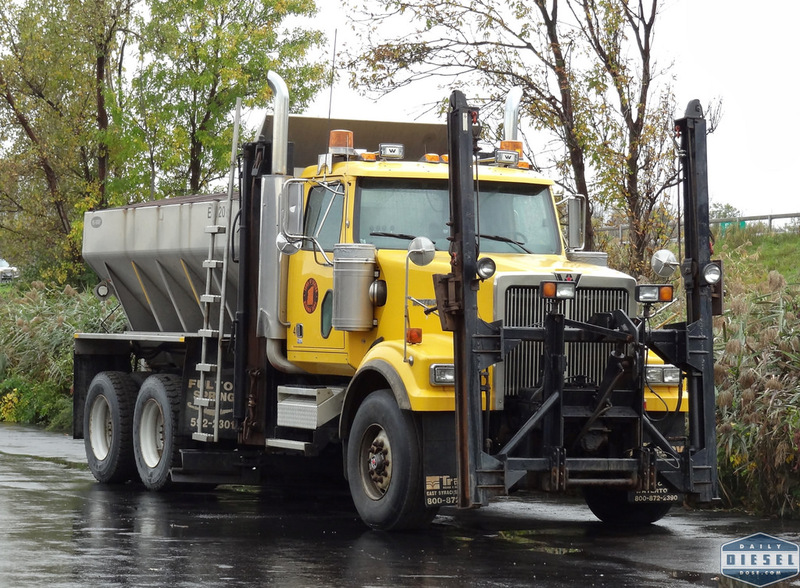 Here we have truck 86 of the Madison County Highway Department. 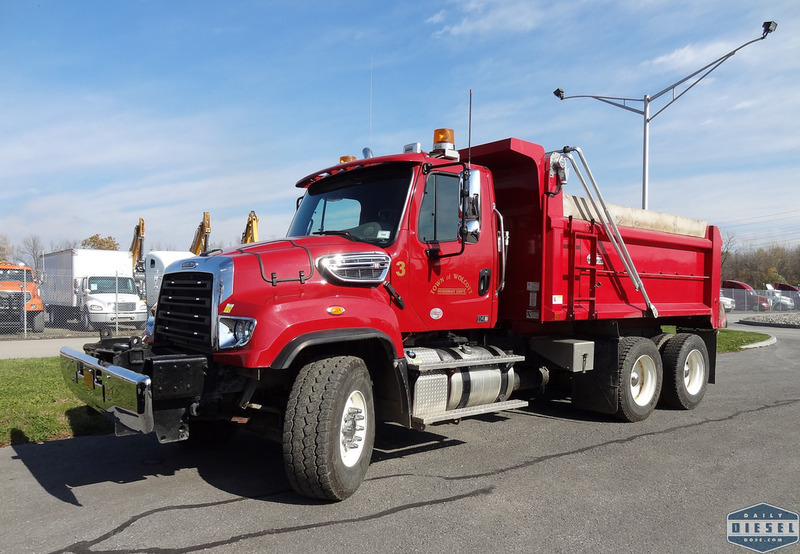 In the gallery are two more 2674’s for the Onondaga County DOT. Proving the adage that you’re never too old for school here is a S1900 plowing for the Westmoreland Central School District. 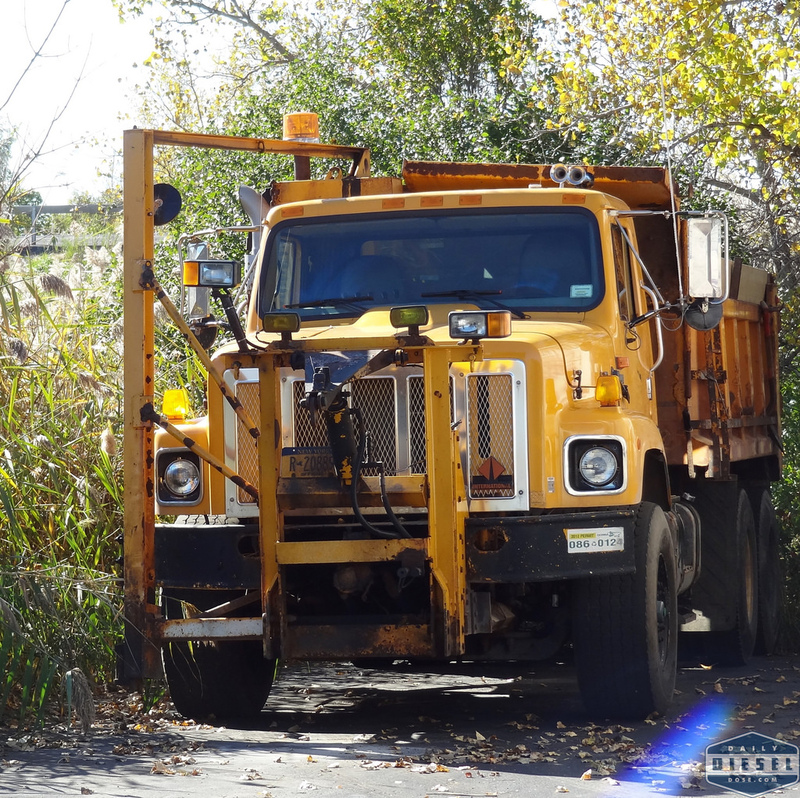 Was this truck a hand-me-down from the nearby highway department? Smart money says so. In the gallery below we have a little more of everything. 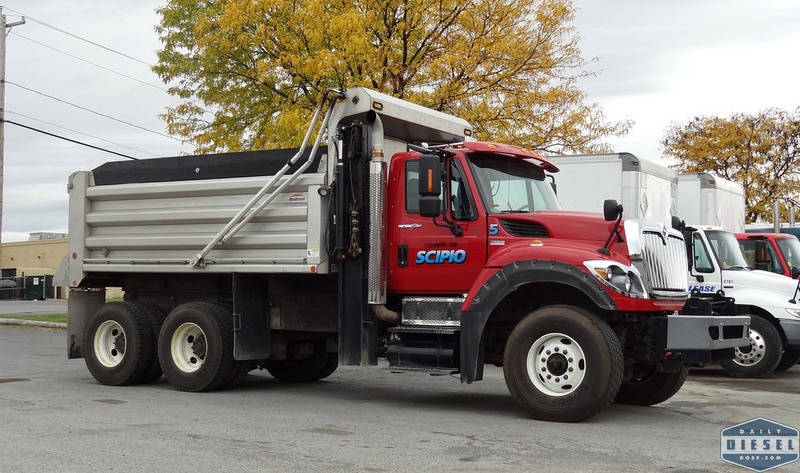 A Town of Scipio WorkStar. A Town of Scriba Western Star. A Town of Schuyler Volvo VHD. 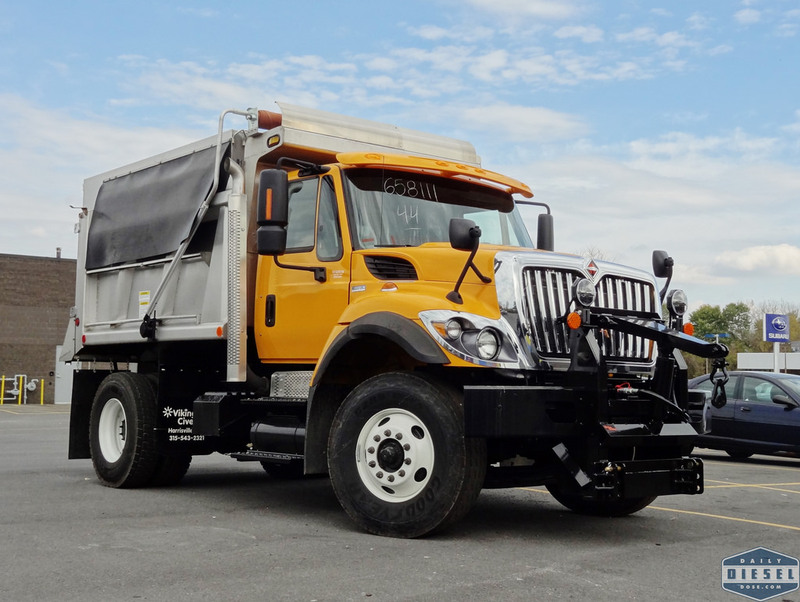 A single axle International WorkStar for an unknown agency. A Town of Wolcott Freightliner 114SD. A Town of Annsville Mack Granite if full dress. 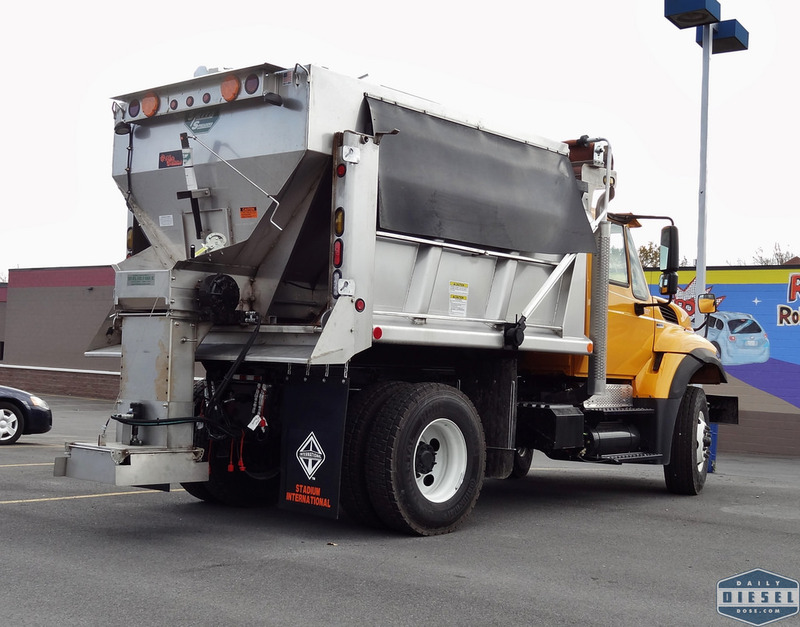 A WorkStar for the Cicero-North Syracuse Central School District. A Town of Windfield Sterling. 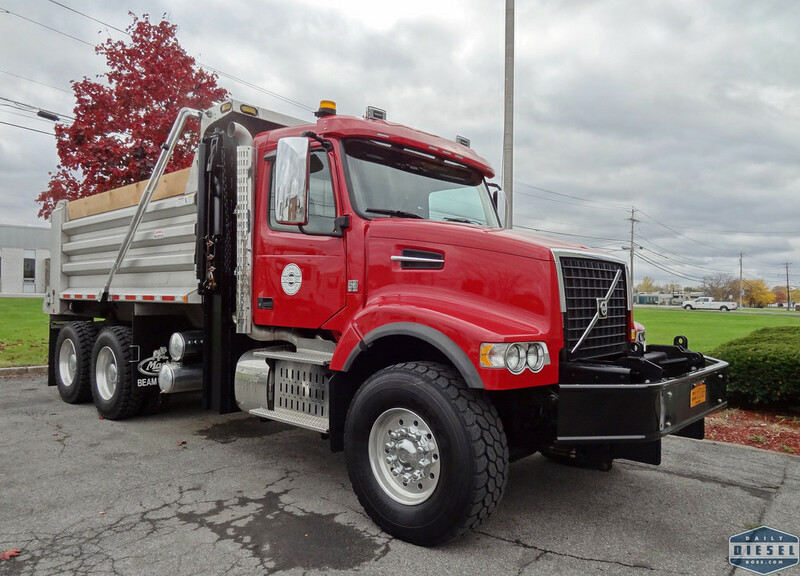 This entry was posted in Snow Plows and tagged international 2574 snow plow, international 2674 snow plow, international workstar snow plow, western star snow plow. Bookmark the permalink. That blower is probably loaded onto a lowboy heading west. 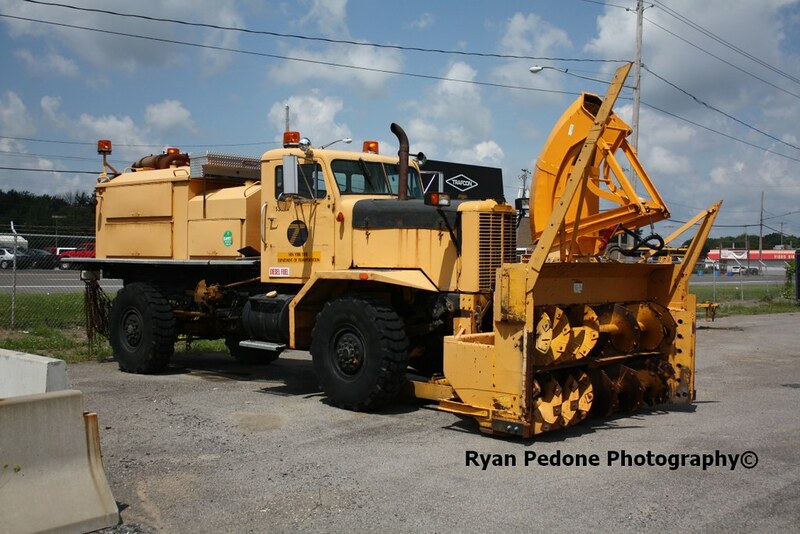 Looking forward to some fantastic pictures from you of snow removal machines and plow trucks in light of this recent storm. Hi Eric. Nice run of pictures here. Quick correction on that Madison County truck- it is truck number 46 not 86 and is a 1998 model year. The truck that wore the number 46 over there before this one was a 1967 GMC JE9710 (9500) tandem with a 637 V-8 gas. 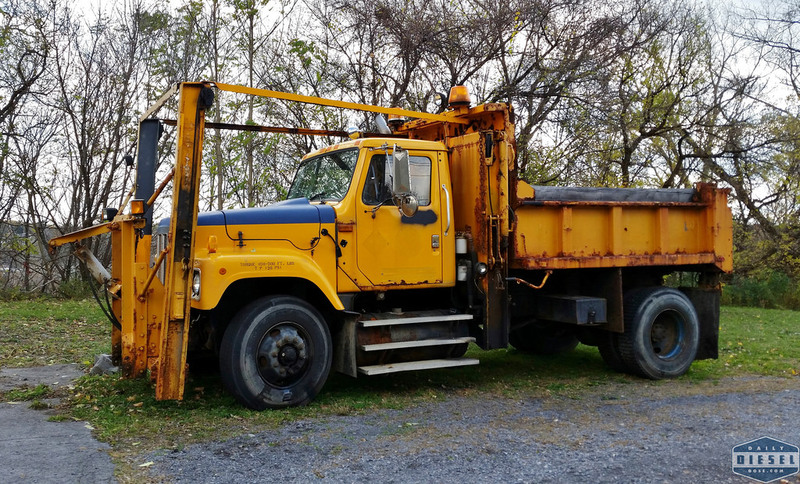 It started life as a tandem dump then ended up as the county’s tree crane before finishing out its days at the landfill as a water truck.